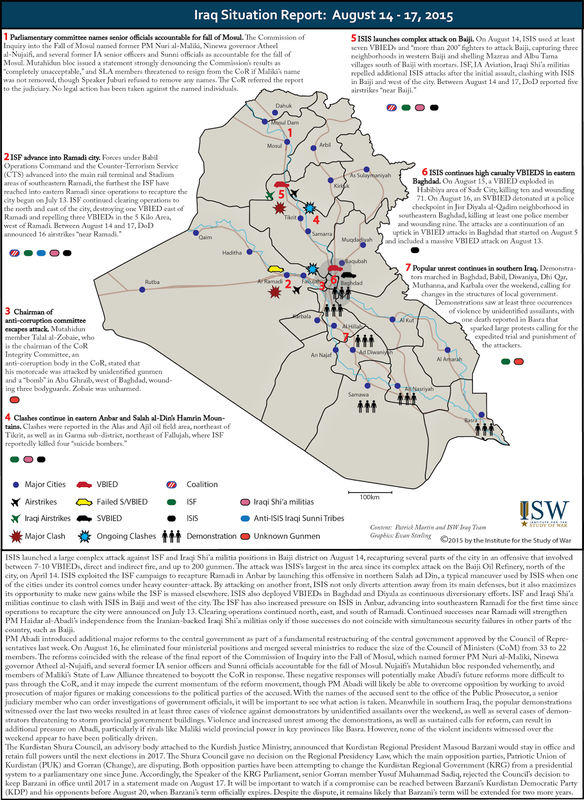 Key Take-away: Prime Minister (PM) Haidar al-Abadi is implementing major reforms to the Iraqi government as largely peaceful demonstrations against service shortages and corruption continue in Baghdad and southern Iraq. PM Abadi’s federal reforms seek to cut redundancies and counter corruption, a chief complaint of protesters. PM Abadi is also likely moving to obstruct political rivals with the broad backing of most of Iraq’s Shi’a, Sunni, and Kurdish political parties. The Council of Representatives approved of the removal of the three Deputy PM positions, reducing the number of ministers, and voted eliminating the VP posts, which would sideline former PM Nouri al-Maliki, though the process of eliminating the VP position requires additional steps that appear to be out of PM’s authorities at the current time. The clerical establishment in Najaf supports the PM and is now calling for reforms within the Judiciary, which must be undertaken by the Judiciary upon itself because it is constitutionally independent. Should the Judiciary remain unchanged, it will pose an obstacle to PM Abadi’s reforms. The reforms have so far boosted Abadi’s influence as a premier and trimmed the number of ministers in the Council of Ministers. Some of the protests have turned violent in ways that indicate future vulnerabilities to the protests and PM Abadi’s government. PM Abadi’s reform initiative has spurred the Council of Representatives (CoR) into action. Since August 11, the COR passed PM Abadi’s and CoR speaker Salim al-Juburi’s reform bills, in addition to key legislation previously locked in parliamentary review on August 27. The pace of legislative activity indicates active political negotiations and consensus-forming among major Shi’a, Sunni, and Kurdish political actors in the CoR, likely responding to pressure from Najaf and the population. However, dissenters, including PM Abadi’s rivals, will likely challenge the reforms’ constitutionality despite the political and legitimacy bestowed on the reforms by Najaf and the CoR, respectively. Demonstrations against provincial service shortages and corruption have also continued throughout southern Iraq amid isolated reports of clashes and attacks on protesters. There are now indications that particular provincial governments are using local security assets to disperse protests, a noteworthy development that may require the central government to intervene to protect protesters to prevent a security escalation in southern Iraq. The first reform program introduced by PM Abadi on August 9 mandated sweeping changes to government, the most significant of which was the immediate elimination of the Vice President (VP) and Deputy Prime Minister positions. Several senior figures in major political parties were affected: former PM Nouri al-Maliki; Mutahidun leader Osama al-Nujaifi; Wataniya leader Ayad Allawi; senior Sadrist official Bahaa al-Araji; Arabiya leader Saleh al-Mutlaq; and senior KDP official Rowsch Shaways. The package also included reforms to the sectors of administrations, services, economy, and finance. The bill targeted special interests of senior officials, reducing the number of special advisers each official could have, as well as the number of bodyguards, claiming that it freed up “20,000” security personnel to serve in the Ministry of Defense (MoD) or Interior (MoI). This reform program unanimously passed through the Council of Ministers (CoM) on August 9. It also achieved a majority vote and passed in the CoR on August 11. However, dissolving the vice presidency positions requires more than a majority vote in the CoR. It requires a formal request for the elimination of the VP positions from the Presidency to the CoR Speaker. The PM’s spokesperson alluded to this fact on August 27 by stating that some reforms will take time. Solidarity in the CoR regarding Abadi’s reform program has granted the government a unique opportunity to force key legislation through the legislative process. The CoR also passed a reform package introduced by CoR speaker Salim al-Juburi on August 11, which was filled with its own anti-corruption measures and administrative reforms. The CoR package mandated that the reforms be implemented within 30 days, the agenda has witnessed limited progress; it invited PM Abadi to dismiss the Electricity Minister Qasim al-Fahdawi of the Loyalty for Anbar List, a component of Juburi’s own Etihad, the major Sunni coalition in the CoR. This reform package has made limited progress, as Fahdawi’s questioning on August 29, 2015 did not result in his dismissal. Power shortage in Iraq is a popular grievance that will likely continue to fuel popular anger. CoR speaker Salim al-Juburi also used his platform to address the Political Parties Law, a key law that governs political life in Iraq which has been ignored by the CoR for its potential to limit parties’ freedom of receiving external support and maintaining armed wings. The Political Parties law passed unanimously on August 27. The law, if implemented correctly, will negatively affect the interests of all parties that receive funding from foreign countries, which likely extends beyond the realm of Iranian proxy groups to include Sunni parties as well. The law also bans the possession of armed wings by political parties, a condition unlikely to be implemented without the presence of a strong state and robust security apparatus. PM Abadi also introduced a second reform package on August 16. Though narrower in scope, it sought to decrease the number of ministries by eliminating and merging non-essential ministries that were originally formed to accommodate power-sharing of all winning political parties. Specifically, it eliminated the Women’s Affairs, Human Rights, State Affairs, and Provincial Affairs ministries. It also merged the Municipalities Ministry with the Construction and Housing Ministry; the Science Ministry with the Higher Education Ministry; the Environment Ministry with the Health Ministry; and the Tourism Ministry with Culture Ministry. Combined with the elimination of the Deputy Prime Minister posts, the result was that the number of positions in the CoM reduced from 33 to 22 positions. The State of Law Alliance (SLA) lost two positions held by Badr Organization members, a major component of the SLA. The cabinet reshuffle disproportionately upset the Badr Organization, an Iranian proxy group with a prominent armed wing, which demanded an explanation for the removal of two of its members from the CoM. 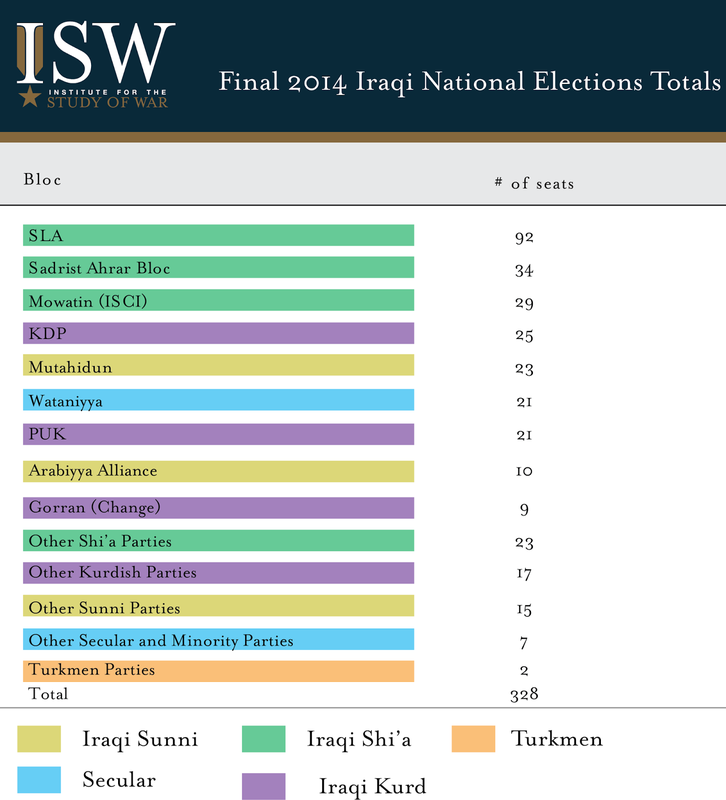 However, the reshuffle did not exclusively target pro-Maliki allies. Sunni parties lost three positions, Kurdish parties combined lost three, and the Sadrist Trend lost one. 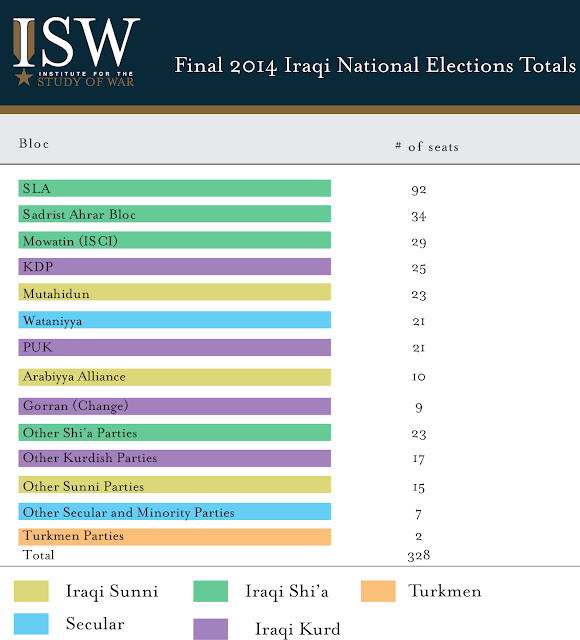 Smaller parties including the Communist Party and the small Iraq Coalition lost their only positions to SLA members during ministry mergers. If the reforms to eliminate the VP positions go through, SLA would lose Maliki’s post, while Wataniya and Mutahidun would each lose one position as well. 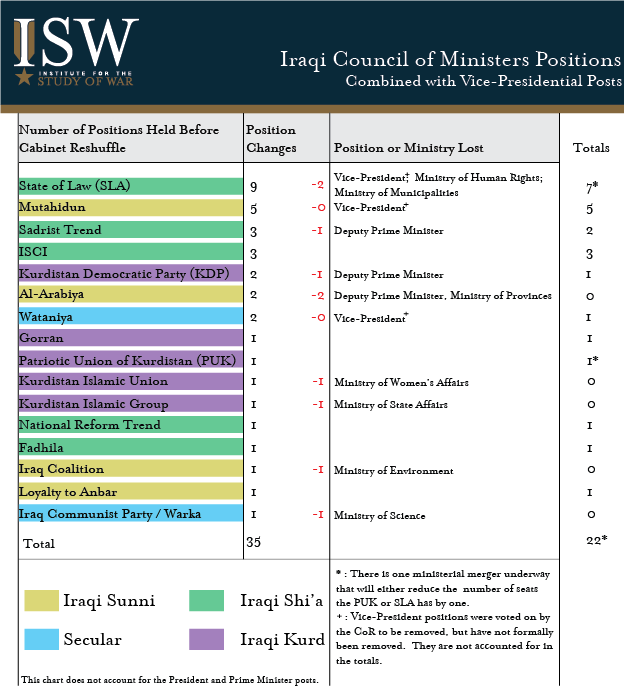 The Sadrist Trend and Islamic Supreme Council of Iraq (ISCI) were left relatively unscathed, preserving nearly all of their ministerial seats. This is likely a result of ISCI and the Sadrist Trend’s occupation of essential ministries. Their early and vocal support for PM Abadi’s reform program might have contributed the preservation of their posts also. The resignation of the Sadrist Deputy PM, Bahaa al-Araji indicated the Sadrist Trend’s support for reforms. Thus the cabinet reshuffle maintained the influence of the Sadrists and ISCI within the CoM but decreased that of nearly every other political bloc. The majority approval in the CoR of the first reform package was marred only by voiced concerns by VPs Ayad Allawi of Wataniya, a secular Shi’a, and Osama al-Nujaifi, an Iraqi Sunni and the leader of Mutahidun. Both questioned the constitutionality of the reform package, though both emphasized that they support the reform program as a whole. Their complaints were likely a result of the potential loss of their own positions. This concern does not appear to have deterred PM Abadi, who openly explored the possibility of receiving a “mandate from the people” to amend the constitution. PM Abadi nevertheless described major changes of state configuration such as cancelling the constitution and the provincial councils as a “return to dictatorship,” indicating that his vision of reforms is scoped and that he wants to maintain existing political support. Meanwhile, any resistance from the SLA and Maliki has been limited by the vast popular support for PM Abadi and Sistani’s blessing for the reform program, increasing the political cost of publicly pushing back against the reforms. In addition, the Commission of Inquiry into the Fall of Mosul, a CoR committee led by a senior Sadrist official, released its report on August 16 and named Maliki, among others, as accountable for the loss of Mosul to ISIS. Pro-Maliki members of the SLA have been preoccupied since that date to ensure that Maliki is not subject to legal action. SLA members threatened to resign when the report was released. Having failed to have Maliki’s name removed, they denounced the report. Reportedly, one of the SLA’s members resigned from his post in the CoR in order to allow Maliki to return to the CoR as a member, thus granting him immunity from prosecution. With the SLA and its leader having to address several challenges at once, PM Abadi has faced hardly any resistance from the largest bloc in government, which has elected to avoid voicing its opposition in a likely effort to preserve its image. PM Abadi’s rivals, such as the Iranian-backed Asa’ib Ahl al-Haq (AAH), and the Badr Organization, may seek to cause unrest to undermine the image of PM Abadi’s government in response to his political reforms. 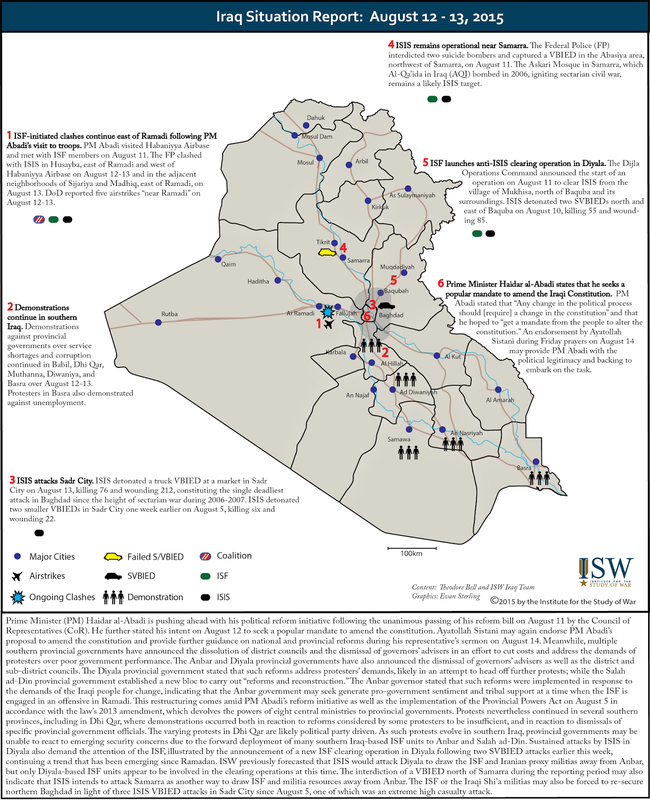 However, the Iranian proxies’ responses to PM Abadi’s reform initiative have thus far remained relatively muted. Former PM and embattled VP Nouri al-Maliki’s week-long visit to Iran starting on August 14 was likely an attempt by Maliki to garner external support against the current reforms. However, during the visit, Iranian Vice-President Ishaq Jahangiri stated that it was necessary for Iraq to begin PM Abadi’s reforms. Jahangiri’s statement followed a previous statement by the Iranian Chief of Staff of the Armed forces, Hasan Firouz Abadi, who called on Iraqis to support PM Abadi’s government, though he cautioned against “external” interference and called for the demonstrators to exercise “self-restraint.” These statements indicate that Iran is not publically opposing PM Abadi’s reforms. Some Iranian officials may additionally fear an increase in violence or unrest in southern Iraq and Baghdad. The religious establishment in Najaf had explicitly called for major judicial reforms during two consecutive Friday sermons on August 14 and 21. However, the PM does not have the authority to make changes in the judiciary given its independent constitutional status. The Higher Judicial Council (HJC), which sits atop the other judicial bodies of the Federal Supreme Court, the Federal Appeal Court, the Public Prosecution Service, the Judicial Supervision Commission, and other courts, is headed by the controversial justice, Medhat al-Mahmud. Mahmud has occupied his post since 2005. He was instrumental in expanding the influence of Maliki and minimizing that of the CoR, and he may represent an obstacle to Abadi’s reforms and to the judicial reforms solicited by Najaf. Mahmud is more likely to act in his own interests than that of Maliki at this time, but actions to reduce his own authority by the judiciary are unlikely to be forthcoming. In order acknowledge Najaf’s attention to the Judiciary, Mahmud submitted his resignation during an HJC meeting to discuss reforms on August 17, 2015. The resignation was rejected unanimously by the rest of the justices on the HJC on the same day. It is most likely that that the judges rejected the resignation in order to protect their own interests and positions. It is also likely that Mahmud knew this, and offered his resignation as a gesture to placate demands from Najaf without risk. Nonetheless, there is already a report that Mahmud intends to resubmit his resignation. A reform at the top of the judicial hierarchy would set a precedent which would expedite more reforms in the judiciary. Nonetheless, they are expected to be insincere at this point. Meanwhile demonstrators continue to protest in Baghdad and other locations throughout southern Iraq in response to service shortages and central government and ministerial corruption. Demonstrations calling for reform in Baghdad have been accompanied by large pro-PM Abadi rallies supportive of his reforms. Demonstrations in Baghdad have also remained peaceful. This is mainly due to PM Abadi’s orders to the ISF in Baghdad to provide protection and to be gentle with the demonstrators. The ISF in central Baghdad placed flowers into the barrels of their weapons to indicate their intention to maintain a peaceful atmosphere. Similarly, demonstrators in Baghdad are also working to maintain the peacefulness of the demonstrations. However, demonstrations in the south have tended towards violence in some cases. Isolated incidents of violence can generate instability that the ISF are unlikely to contain because major ISF assets have deployed from the south to the front lines of the northern fight against ISIS. Violent protests also have the potential to give PM Abadi’s political rivals means to upset his political platform at a local level. In Babil, the provincial; government used local police to disperse a protest in the provincial capital of Hilla on August 22. The Babil government stated that PM Abadi had banned demonstrations and imposed a curfew on Hilla on August 23. This accusation of PM Abadi runs counter to his actions toward demonstrators in Baghdad, and PM Abadi denied that his office had banned demonstrations the following day. He also ordered the curfew lifted and dispatched the Iraqi Army (IA) to protect demonstrators in Hilla. The Babil government’s attempt to end protests was most likely an effort to protect the interests and power of the senior officials in the governments such as the governor, a State of Law Alliance member, but it shows how provincial governments can exacerbate the security situation surrounding largely peaceful protests. In Basra, masked men in military uniforms attacked protesters at a sit-in site outside a provincial government building on August 22 while Iraqi Police (IP) did not intervene. Though the attackers have not been identified, the incident is a harbinger of violence perpetrated by actors outside of the control of the state, including militias, organized criminals, or political parties. The lack of ISF protection to Basra demonstrations, coupled with the attack, prompted the demonstrators to disband the demonstration in fear for their safety. Basra has a notable security vacuum, a result of major ISF deployment to the front lines. Basra is also key terrain for many Shi’a political parties, and former PM and VP Maliki; it is also vulnerable to Iranian interests. However, at this time, no visible politically divisive actions have been noted in response to PM Abadi’s political reforms in Basra. On August 26, PM Abadi ordered the ISF not to fire into the air during demonstrations and stated clashing with protesters constituted “a red line,” likely in reference to reports of violence against protesters over the previous week in Basra and Babil. Demonstrators themselves have been responsible for instigating violence on several other occasions. In Karbala, police forces had to disperse demonstrations using batons and water cannons as protesters attempted to force their way into the provincial government building on August 14 and again on August 21. The Karbala protests do not appear to have been provoked by individuals, parties, or other extra-governmental actors. Rather, these incidents reflect the more frustrated nature of civic activist-organized Karbala protesters, who voice more radical reform proposals, such as dissolving the CoR or forming a government of technocrats, than their counterparts in other provinces. Additionally, multiple provincial governments are scapegoating their advisers, aides, and provincial department heads, firing them in the name of reform. Such dismissals have generated follow-on demonstrations in some instances, such as in Dhi Qar on August 11, where protesters voiced their anger over the limited scope of reforms and also the dismissal of particular officials. In one exceptional case, the governor of Muthanna resigned on August 28 in response to protesters’ demands. However, this resignation remains a singular example of a senior provincial official voluntarily stepping down amid the current protests; the governors of Karbala and Diwaniya, the former an SLA member and the latter a member of the Fadhila party, have symbolically submitted their resignations to PM Abadi on August 15 and 28 respectively, but they continue to serve in office. The incident in Dhi Qar shows another way that provincial government dismissals can have an inflammatory rather than calming effect. Demonstrations in Baghdad may yet evolve and generate instability. The leader of the popular Shi’a Sadrist Trend, Moqtada al-Sadr, called on his Baghdad-based followers on August 24 to participate in the Friday demonstrations on August 28. Importantly, Sadr explicitly ordered his followers to support the pro-reform demonstrations, maintain a nationalist tone, and refrain from religious or political slogans, consistent with his earliest guidance on the current protests. The participation of the large and active Sadrist Trend support base in the demonstrations contributed to “unprecedented” numbers of demonstrators filling the streets in Baghdad on August 28. 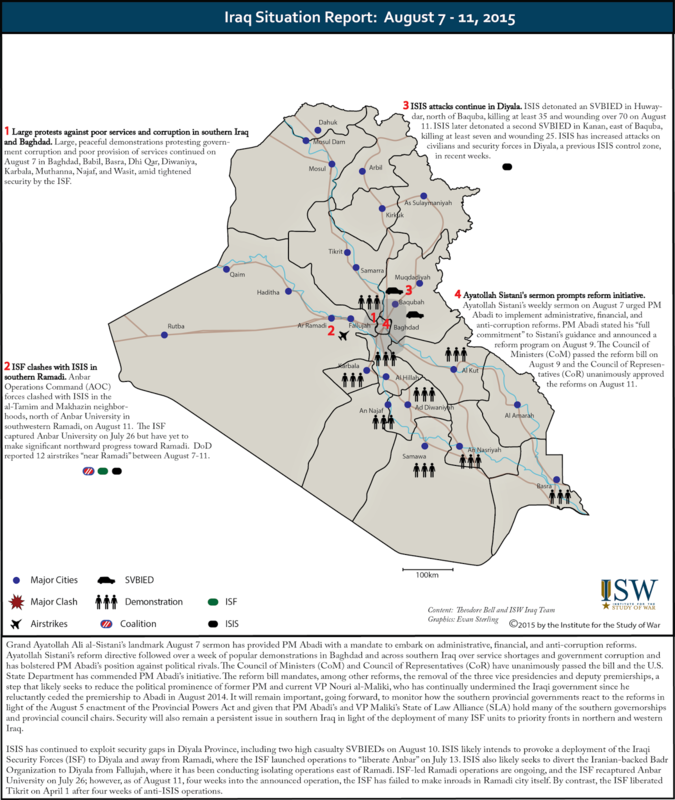 While the August 28 protests remained peaceful, the Sadrist support base’s participation may yet generate unintended tensions. However, the sheer number of expected participants and the politicized nature of Sadrist supporters’ participation may infuse the demonstrations with religious and political undertones. They may also add more pressure for reforms, especially within the judiciary. The reform program has empowered PM Abadi, who currently enjoys the greatest degree of power he has experienced in office. The PM currently has momentum, and maintaining it is key to the successful implementation of reforms. Therefore, it is important to watch the degree of support the PM receives from Najaf and the population and whether support remains constant through a lengthy implementation process. Statements by Sistani’s representative calling on Abadi to expedite reforms, or popular anger directed blaming Abadi for the slow pace of reforms, will be indicators of waning support. It is particularly important to watch for the Presidency’s statements and stance on the elimination of the Vice President positions. President Fuad Masoum will have to submit a formal request to the CoR for the elimination of these positions if their elimination is formally to take place. Elimination of the VP posts would likely be accompanied by moves within the CoR to allow the VPs a return to their CoR seats, a likely priority for Maliki, given the immunity CoR membership would grant him from prosecution in light of the Mosul report. PM Abadi faces several obstacles that will likely reduce the pace at which his reform legislation can pass. He will have to remain cognizant of security developments associated with protests in southern Iraq, where violence has been reported, while continuing with reforms at a national level. Najaf has legitimized PM Abadi’s reform initiative, and the CoR has momentum as a legislative body, but the Iraqi Judiciary may still constitute an obstacle. The Judiciary is unlikely to reform itself and is also an avenue by which PM Abadi’s opponents and rivals may seek to block his reforms. It will therefore remain important to monitor whether Iraqi justices indicate a willingness to work with PM Abadi. The judiciary as a whole is most likely going to remain resistant to comprehensive reforms and retain its current structure, though there is a possibility that Mahmoud may resign, possibly in order to placate demonstrators. It will also be important to identify early moves by PM Abadi’s opponents to take legal action to protect themselves. While the reforms may slow in the central government due to judicial obstacles, the persistence of large demonstrations in Baghdad and southern Iraq, combined with regular support for reform from Sistani’s representative, may apply sufficient pressure on the judiciary to yield to PM Abadi’s and popular demonstrations' demands, even if it has no legal obligation to do so. PM Abadi will likely continue introducing smaller reform packages that do not require judicial or Presidential approval and can be pushed through a compliant CoR quickly. His opponents will most likely avoid voicing their resistance to Abadi while quietly pressuring the Presidency and the Judiciary to remain obstacles to core tenets of PM Abadi’s reform program. The CoR will likely take advantage of the reform program’s momentum to approve key legislation, as it did with the Political Parties law, though the most contentious proposals, including the Federal Court Act and the National Guard Law, are unlikely to pass in a similar fashion. It is unlikely that popular anger will be redirected towards PM Abadi, as the ire of the demonstrators continues to be pointed at provincial governments, including governors and provincial council chairmen, who have not met the demands of local protesters by resigning from their positions. While the slow process of implementing changes continues, demonstrations are likely to continue growing in size, applying pressure on provincial councils to reform. It is unlikely that provincial councils will undertake comprehensive reforms that endanger their own positions; nevertheless, the composition of provincial councils will likely shift as parties seek to preserve their positions and scapegoat others. Pro-regime populations in Tartus City, Latakia City, and the Shia-majority Sayyida Zeinab suburb of Damascus held rare street protests over the past eleven days which likely reflect a stream of latent dissatisfaction with the recent battlefield performance of the regime of Syrian President Bashar al-Assad. The demonstrations primarily called upon regime forces to relieve several besieged pro-regime enclaves scattered throughout northern Syria, and any major split between Syrian Alawites and the Syrian regime remains highly unlikely. Nonetheless, the Alawite population of the Syrian Coast faces mounting security concerns which likely drove this wave of public dissent. 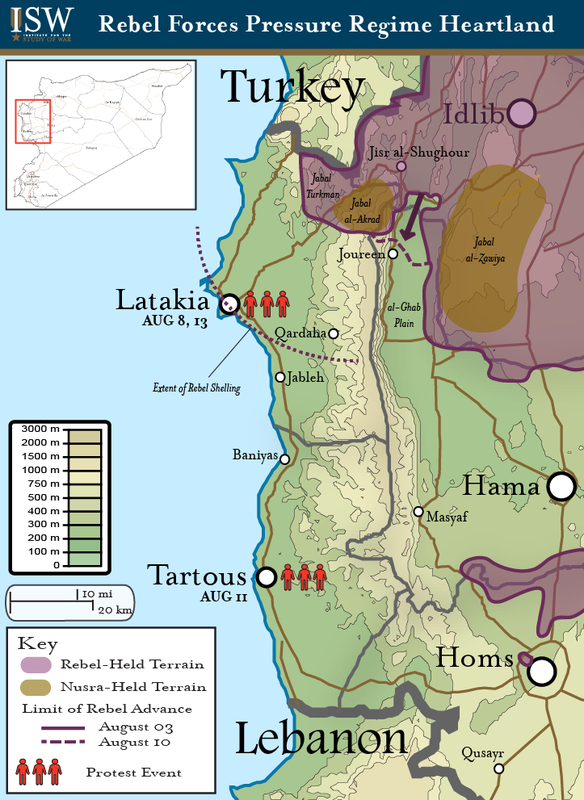 In recent weeks, heavy clashes between regime and rebel forces moved onto the strategic al-Ghab Plain of northwestern Hama Province, presenting a threat both to the borders of Latakia Province in general and the regional command-and-control node for both the Syrian Arab Army and the Iranian Revolutionary Guard Corps located in the town of Joureen. Several rebel factions participating in the fighting on the al-Ghab Plain, including Syrian al-Qaeda affiliate Jabhat al-Nusra and hardline Islamist group Ahrar al-Sham, have repeatedly messaged their intent to strike deep into the Alawite heartland and overrun the Assad family hometown of Qardaha. These threats likely resonate with Syrian Alawites due to previous failed rebel offensives into Latakia Province in 2013 and 2014 which reportedly included mass killings and deportations of minority populations. 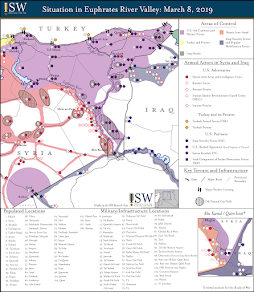 In this context, the inability of pro-regime forces to achieve decisive victory in the al-Ghab Plain or prevent recent volleys of rebel shelling targeting Latakia City, Qardaha, and other prominent towns have likely further eroded public confidence in the long-term protection provided by the Syrian regime. Key Take-away: The government of Iraq is planning sweeping political reforms and attempting to reshuffle the cabinet. Prime Minister Haider al-Abadi is even calling for the elimination of the Vice President and Deputy Prime Ministers positions. These officials include former Prime Minister and current Vice President Nouri al-Maliki, a rival of Haider al-Abadi. These events mark the first anniversary of the formation of current Prime Minister (PM) Haider al-Abadi’s government. Iraq’s leading religious figure, Grand Ayatollah Ali al-Sistani, is actively backing the Prime Minister and thereby pressuring Shi’a political parties to comply. The Sadrist Trend and the Islamic Supreme Council of Iraq (ISCI), two of Abadi’s major, Shi’a coalition partners, have supported the reforms, which will go to Iraq’s Parliament on August 11. It remains to be seen whether they pass and whether the officials will step down. Sistani is involved not only to reaffirm Abadi as premier, but also to protect him against removal by rivals. Qais Khazali, the leader of Asai’ab Ahl al-Haq (AAH), the Iranian-backed Shi’a militia, called for Abadi’s resignation on August 7. AAH has lately joined former media outlets favorable to former Prime Minister Nouri al-Maliki in calling for replacing Iraq’s parliamentary system with a presidential system, in which Iraq’s leader would be selected by popular vote, rather than a vote among members of parliament. Maliki has been trying to position himself as the preferred political candidate of Shi’a militias and likely sees himself as a possible next leader of Iraq. Supporting a presidential system would thereby give Maliki a greater chance of being elected without being beholden to party deliberations over who becomes PM. Massive protests began in Iraq on July 31 rejecting lack of services and government corruption: Popular demonstrations against poor services and corruption have continued since July 31 in Baghdad, Diyala, Sulaimaniya, and throughout southern Iraq. 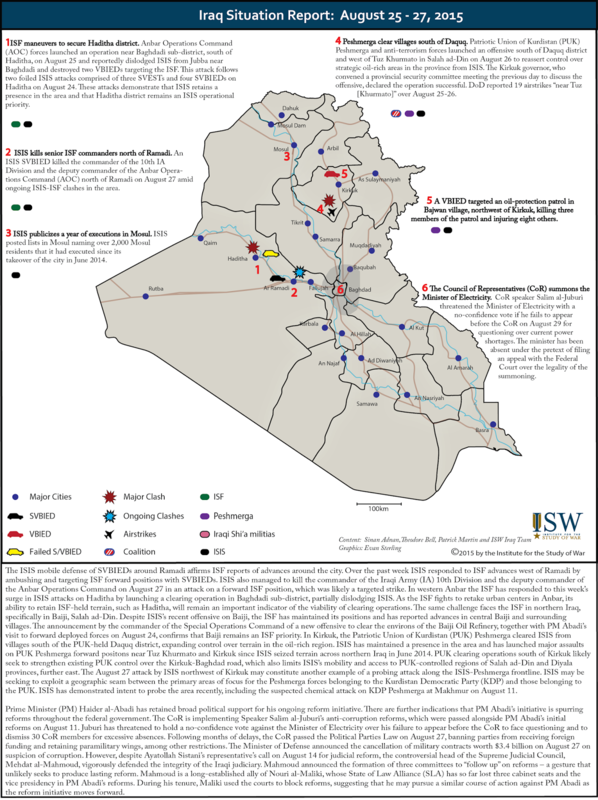 Although protests over service shortages had previously occurred in June in Basra, they did not spark demonstrations that were either continuous or broadly based through southern Iraq. Popular anger has been directed at local governments over power and water shortages and at the Electricity Minister. Central government officials from across the spectrum, including PM Abadi, have endorsed the protesters’ demands as legitimate and have simultaneously warned against politicization and escalation of security. Several major political parties are now endorsing PM Abadi’s reforms. Several major Shi’a political factions had publically supported Abadi’s reform program following Ayatollah Sistani’s Friday sermon. ISCI’s Mowatin Bloc declared its support for PM Abadi in implementing reforms on August 7 and called for an emergency session of the CoM to discuss the reforms. The Sunni Speaker of the Parliament, Salim al-Juburi, stated that protesters’ demands were legitimate and that the parliament will discuss the demands in its next session on August 11. The Sunni Etihad Bloc on August 8 affirmed the importance of anti-corruption reforms and stated that the responsibility lies with PM Abadi. The pan-Shi’a National Alliance also voiced its “full commitment” to Ayatollah Sistani’s directive and for PM Abadi in preparing reforms on August 8, as did Moqtada al-Sadr, the Sadrist Trend leader. Sadr’s response, and those of other major Iraqi Shi’a political formations such as ISCI, indicates that the major Shi’a parties are concerned that the demonstrations will undermine their positions and political power, as they hold office in many of the southern provinces. Shi’a parties are also likely attempting to keep the protests non-violent. PM Abadi’s reforms have passed the Council of Ministers and may pass the Council of Representatives. PM Abadi’s reform agenda, announced on August 9, passed unanimously by the Council of Ministers (COM). The reforms included the removal of the three deputy Prime Minister and three Vice Presidential (VP) posts, a reduction in salaries for all senior government officials, and a two-year party and sectarian limit on top appointments in government. Critically, the reforms would result in the elimination of Maliki’s VP position. But while the reforms passed in the CoM, they must also pass a CoR vote scheduled for August 11 to go into effect. A spokesperson for ISCI’s Mowatin Bloc, loyal to the cleric Ammar al-Hakim, stated that Mowatin would vote in favor of the reforms, as did al-Ahrar bloc, a component of the Sadrist Trend loyal to Moqtada al-Sadr. ISCI and Ahrar’s reactions, in this regard, are consistent with previous statements in support of PM Abadi, including Mowatin’s instructions to its ministers on August 7 to resign in order to allow PM Abadi to implement reforms via the reappointment of ministers, and the decision of Deputy PM Bahaa al-Araji, an Ahrar member, to resign shortly before PM Abadi announced the reforms. The State of Law Alliance may split in the Council of Representatives vote on reforms because Abadi is competing with rival Prime Minister Maliki for control of their common political bloc. 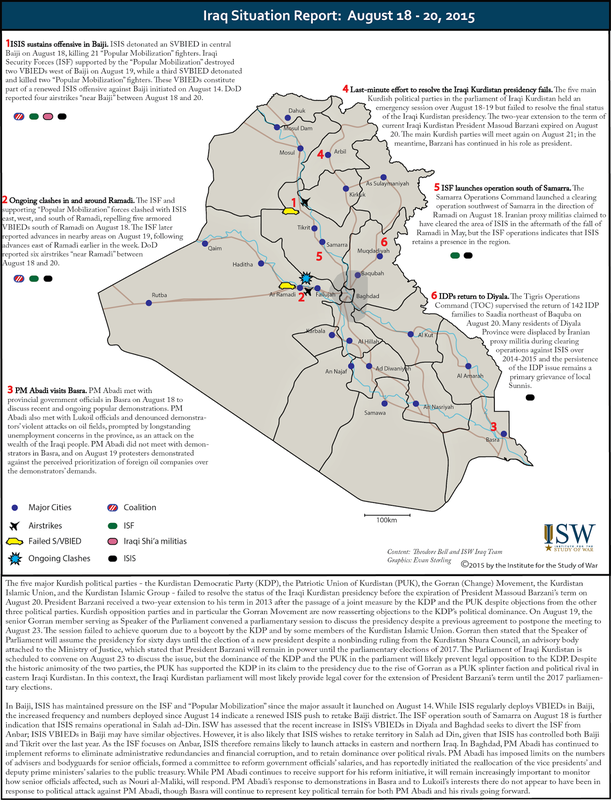 Abadi’s own State of Law Alliance (SLA) may not be uniformly in favor of the reforms. Abadi came to power as part of this political bloc, but he does not have its full support, as former PM Maliki remains a dominant figure within it. SLA members have contradicted one another, with one calling Abadi’s reforms “illegal” and “unconstitutional” and another praising the removal of the deputy positions. Pro-Maliki social media outlets were largely silent on the subject of the vice president and deputy positions but voiced generic support for Abadi and reforms. In addition, the head of AAH’s political bloc in the CoR, Hassan Salim, supported the reforms, but added that the other reforms were required to improve the Integrity Commission, which he claimed did not do enough to fight corruption. The legislation may pass in the CoR even without the unanimous support from within the SLA, which is likely split between those who support PM Abadi and those who support VP Maliki. Article 59 of the Iraqi Constitution provides that all legislation requires an absolute majority of the members present in order to pass, with a quorum being reached at 164 members, or 50 percent of the CoR. As such, legislation requires between 83 and 165 votes for approval, depending on the number of MPs present for the vote. If every member of the Sadrist Trend, ISCI, Kurdish Democratic Party (KDP), and major Sunni and secular party attends the vote and support the reforms, PM Abadi will have 149 votes in favor. If the Patriotic Union of Kurdistan (PUK) and the Kurdish Gorran (Change) party join the KDP and vote as a single Kurdish bloc, they will bring an additional 30 votes in support of the reforms. In this scenario, SLA would be unable to block the vote even if every SLA member of parliament voted against the bill. The SLA could not block the reforms under the above conditions even if the PUK, Gorran, the SLA, Fadhila, and Islah opposed it, which would result in a 149-140 split. PM Abadi’s government appears to be in a strong position to execute reforms immediately. Instead of leading to greater instability, protests, Shi’a politicians, and the marja’iya all seem to be empowering PM Abadi and bolstering him against rivalries and cascading challenges. Ayatollah Sistani has used the protest movement as a platform to raise a national political reform agenda on Abadi's behalf. His sermon gave rise to an immediate, coherent, and drastic reform agenda by PM Abadi, which was received with shocking equanimity by a vast array of political actors, whose COR votes auspiciously equate to a majority - which is exceedingly hard to achieve in Iraq, especially without VP Maliki’s camp within the State of Law Alliance (SLA). This rapid coherence of a national reform agenda and potential COR majority on the heels of a sermon by Ayatollah Sistani suggests premeditation and preparation. 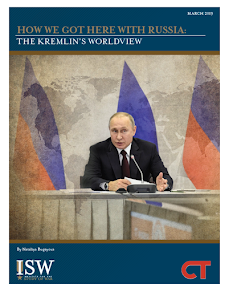 One might therefore look to the past few weeks, or months of protests, political moves, and sermons for evidence of an alignment forming in advance of the events of August 7-10. Prime Minister Abadi hits his first anniversary in office this week, likely prompting a review of his tenure. 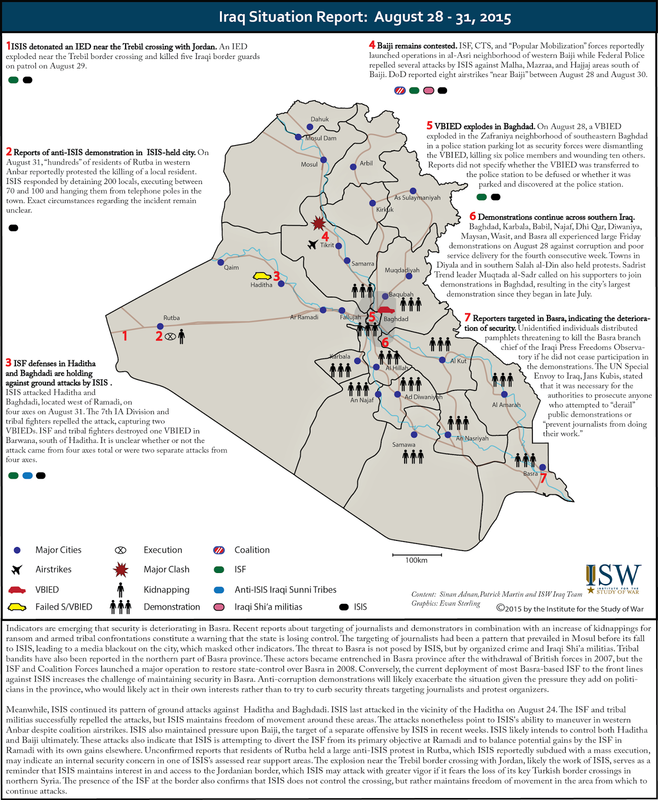 Iraqi politicians had likely agreed to give Abadi a year in office under the current power sharing arrangements. Sistani confirmed Abadi as Prime Minister but allowed him to alter the terms of the deal by which he came to power. Ayatollah Sistani may also have used his sermon and its influence over protesters to head off a politically de-stabilizing effort that would have undermined Abadi’s government. There is evidence that AAH tried to undermine Abadi on August 7, in events described below. Shi’a political competition has been intensifying since January 2015. Some Shi’a political parties have answered more faithfully to Iran than to Najaf over the past year. 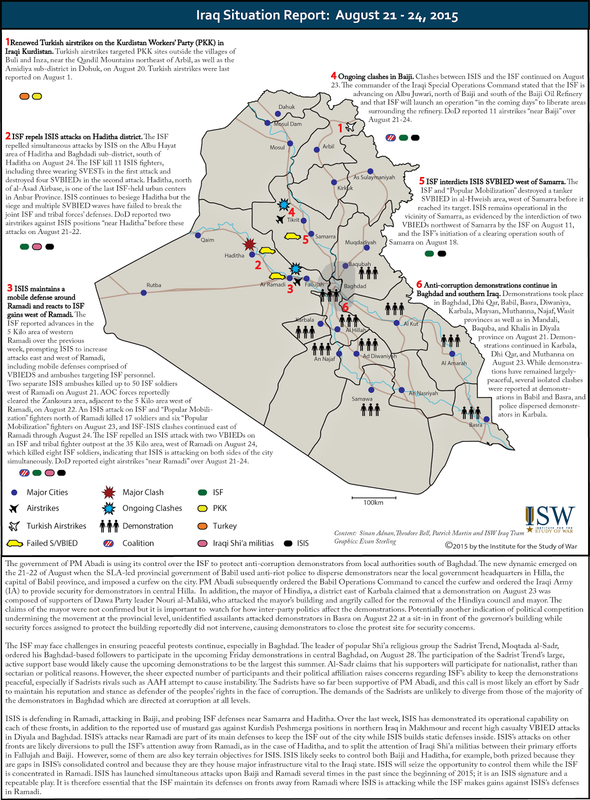 Based on national elections, the basic internal rivalries reflect realignment with or opposition to Maliki, who had ultimately stepped down from office under intense domestic, international, and Shi’a clerical pressure. PM Abadi was chosen as a compromise candidate for PM. Abadi’s first year in office may be characterized as one in which he faced multiple existential threats to his office and to the integrity of Iraq’s central government: namely, a difficult war against ISIS and attempts by Iranian-backed Shi’a militias to subvert the control of the ISF. Over time, PM Abadi’s vulnerabilities have likely increased, due to lack of confidence, turmoil, internal competition, and direct rivalries. For events instead to be going in Abadi’s favor, it is reasonable to hypothesize that Abadi took preemptive measures not only to reform the central government through anti-corruption and decentralization campaigns as promised, but also to execute political re-shuffles of a drastic nature to eliminate direct threats to his office and make reform possible. It seems unlikely that Abadi just got lucky. Rather, it seems more likely that Ayatollah Sistani, PM Abadi, and other political players determined to combine forces ahead of time in pursuit of national reforms. The question is, what specific threat were they countering? Maliki has been opposing Abadi and advocating for a presidential system. Maliki had been trying to undermine Abadi. When he stepped down as Prime Minister, Maliki retained significant influence within the SLA, which is also Abadi’s party. He has previously attempted to position himself since January as a militia leader; and he unleashed a social media campaign against Sunni Defense Minister Khalid al-Obeidi following the fall of an Anbar military outpost in April, though Maliki himself never issued statements implicating himself in the campaign. Maliki thereafter took further steps to represent himself as a leader of the militias that were mobilizing to fight ISIS, thereby attempting to marginalize or possibly re-capture the Ministry of Defense for his agenda. Maliki was also making a play to convert Iraq from a parliamentary to a presidential system by having allies advocate for that new system. Pro-Maliki media outlets and AAH have echoed this theme for nearly a year. Sistani has put Maliki in a bit of a twist. Since August 7, VP Maliki has been doing what he can to use the language of reform to redirect the attention at his political opponents while he has publicly declared his support for Ayatollah Sistani’s reform directive. It will remain important to monitor VP Maliki’s response to the unfolding political developments in light of PM Abadi’s initial steps to enact government reforms. The Iranian-backed militias and their political affiliates were corporately making a move against Abadi at the behest of Qom, which Ayatollah Sistani and many nationalist Iraqi Shi’a political parties rejected. The Iranian-backed Badr Organization endorsed the peaceful protests on August 6, prior to Ayatollah Sistani’s sermon, but did not declare its intent to participate and warned against losing focus on the anti-ISIS fight. Badr issued a brief statement following the sermon in support of Sistani’s call for reform, without providing any additional details on either the sermon or the demonstrations. Amiri stated that he “added his voice” to the demonstrators, but that he could not participate because he was “busy” with the fight against ISIS, in line with Badr’s ongoing political agenda to promote itself as a capable national military force that will liberate tracts of ISIS-occupied Iraq. Kata’ib Hizbollah (KH), another Iranian-backed militia, did not issue a statement on the subject at all, despite having stated its interest on July 18 in interrogating the Electricity Minister, seeking to punish corruption, and ending the electricity crisis. The Nujaba Movement (NM), another Iranian proxy militia, had stated its intent to participate in the Friday protests but there was little indication of significant Iranian proxy participation in the largely-peaceful protests on Friday. The Iranian proxy groups’ limited public responses to the unfolding political developments are likely due their inability to rally direct opposition to Ayatollah Sistani as well as their preoccupation with anti-ISIS operations. While PM Abadi’s reform initiative unanimously passed in the CoM, it must also pass in the CoR on August 11. Pro-Maliki elements within the SLA will not be supportive of attempts to curb VP Maliki’s influence by eliminating his VP position. Massoud Barzani’s Kurdistan Democratic Party (KDP) has voicedsupport for the reforms, as has Osama al-Nujaifi of Mutahidun. Meanwhile the PUK and Gorran (Change), the two Kurdish parties acting as the opposition to the KDP, the majority party in the Kurdish Parliament, may not be fully supportive of the reform agenda. The PUK has voicedsupport, with the caveat that all inclusions to the reform program be “legal” and constitutional, indicating hesitation to approve unspecified components of the reform agenda. However, SLA is unlikely to vote as a single bloc given that PM Abadi is also a member of the Dawa Party, which is a component of the SLA. Furthermore, Ayatollah Sistani’s endorsement of reforms is all but certain to garner pro-reform and anti-VP Maliki votes from within the SLA. This precedent was set in August 2014 when the major Shi’a parties voted to replace then-PM Nouri al-Maliki with Haidar al-Abadi. In this instance Ayatollah Sistani’s call for a “new prime minister who has wide national acceptance” prompted the SLA to fracture, with half of the SLA, including 38 Dawa Party members, voting against then-PM Maliki. It is thus unlikely that the CoR will vote against a reform bill, especially given the political legitimacy that the reform initiative enjoys on account of its endorsement by Ayatollah Sistani. The likeliest method for blocking the reforms is therefore an obstruction of the vote scheduled for August 11. VP Maliki’s allies may insist that the reforms require amending the constitution, prompting a lengthy bureaucratic process. Opponents of the reforms may also seek to obstruct the process by adding amendments unpalatable to pro-reform parties. Speaker Salim al-Juburi’s introduction on August 10 of a 16-point reform paper for consideration by the CoR illustrates political parties’ intent to use the reform momentum to achieve further goals. However, the paper Juburi introduced is not attached to PM Abadi’s reform bill, and will be voted on separately, though includes caveats that would antagonize Shi’a party members. If PM Abadi’s reform agenda is brought to the CoR on August 11 in its current form, it is therefore highly likely that the CoR will vote in favor of the reforms.